Our youngest daughter is quite the character. Her strong spunky personality, quick wit, and ability to constantly keep us laughing (sometimes secretly) makes her extra special in our eyes. I’ve shared a few of her Dennis the Menace antics, but there are new ones on a weekly basis. I admit, I do get frustrated at times with her and want to try to figure out just how her little brain comes up with these things. But often when I’m thinking about her latest tales of orneriness, I can’t help think that it is somehow a little jest at me and payback for all the naughty things I did as a child. I was a lot like her. I could fool many with my little grin and blonde pig tails, but I was sneaky. I calculated moments to plan my strategies and “attacks.” Like our youngest, I had two older siblings to toughen me up. She’s learned how to stand up for herself verbally because sometimes it’s a free for all when the girls have exciting news after school and they don’t always follow the one at a time rule. Last weekend my parents were visiting and we were talking about a very memorable Mother’s Day many years ago. I was probably four or five years old and we were all at my grandparents’ house for a Mother’s Day meal. A few aunts and uncles and cousins were there. As kids, we always played in what Grandma called the “South Bedroom.” It was basically their spare bedroom upstairs that was on the south side of the house. I remember it had a warm sunny yellow glow about it and I loved to explore all the nooks and crannies of the room. She kept games and toys in the closet and we could keep ourselves pretty busy playing school, or babies. But on occasion, we would manage to get into mischief. Well, that Mother’s Day, I was the ring leader for the mischief. It’s a little fuzzy, but I remember I somehow managed to lock myself and my slightly younger cousin Lori in the upstairs bathroom (which was the only bathroom in the house at that time.) No one seemed to notice for a while that we were in the bathroom, exploring drawers and medicine cabinets. I’m sure we checked out all of the essentials and gave them a test run. We decided to open up the medicine and take a peek and may have spilled a few different types of prescription pills on the floor. Now by this time, our older brothers noticed we were in there and started yelling at us to unlock the bathroom door and come out. I remember my oldest brother yelling through the tiny key hole in that old door. I could see his angry eyes and I probably responded with a wicked little laugh. Eventually we unlocked the door and came out. Both of us were in BIG trouble. Everyone was worried we had ingested some of the pills that were scattered all over the bathroom floor. My dad had a friend that was a fireman and had some ipecac syrup to help induce vomiting. As they were trying to get this nasty syrup down the both of us, my grandpa was busy counting all the pills and seeing if any were in fact missing. Turns out all the serious heart pills were accounted for. So we may have gotten everyone all stirred up for nothing. Did they not have child proof pill bottles in the 80’s? Is anything really child proof? 😉 I don’t remember this, but my parents’ say I refused to keep any of that nasty syrup down me and kept spitting it out, but I guess I survived. I think my cousin did get sick a few times from the syrup and she was fine too. I don’t even know if she remembers this. Last weekend as we were thinking back to that eventful day, I giggled and said “Happy Mother’s Day!” to my mom. So far, our youngest has never done something quite that naughty in the bathroom, but it’s good to keep those memories fresh in my mind as I see her gears start turning and her ornery little eyes brighten up with her latest little scheme. 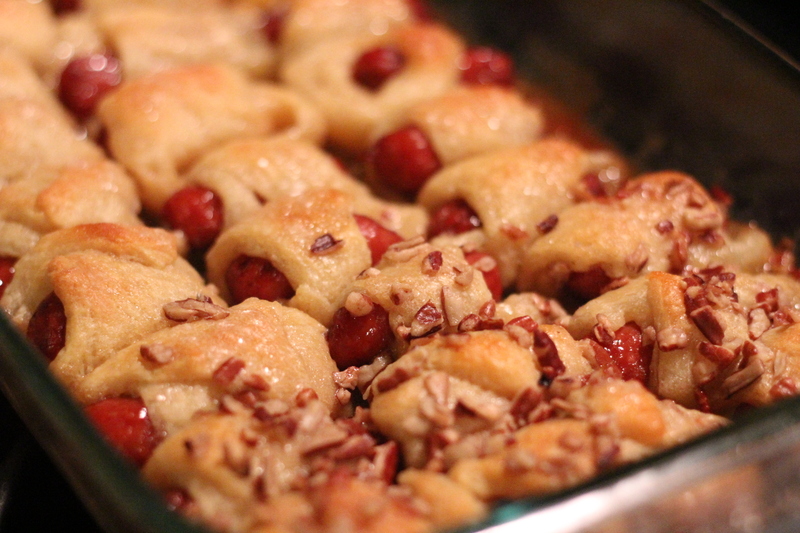 Preheat oven to 375° F and spray a 9 x 13 or slightly smaller baking dish with nonstick spray. 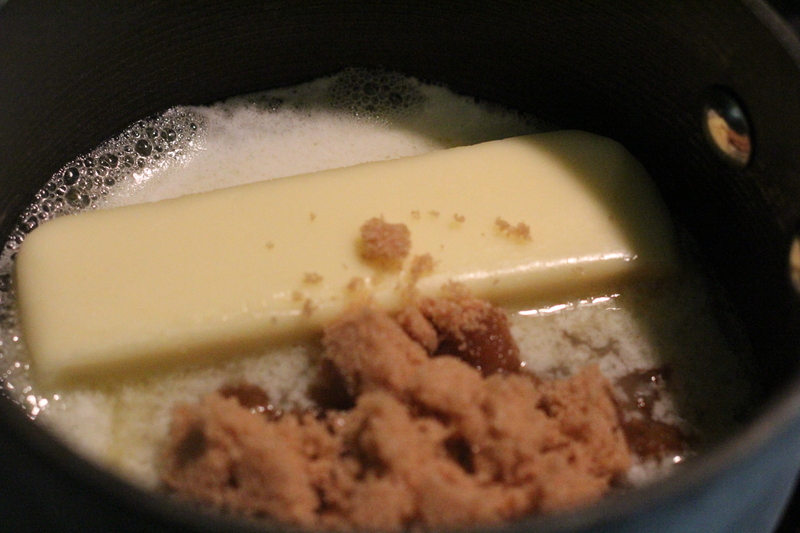 Melt Butter and stir in brown sugar until smooth. 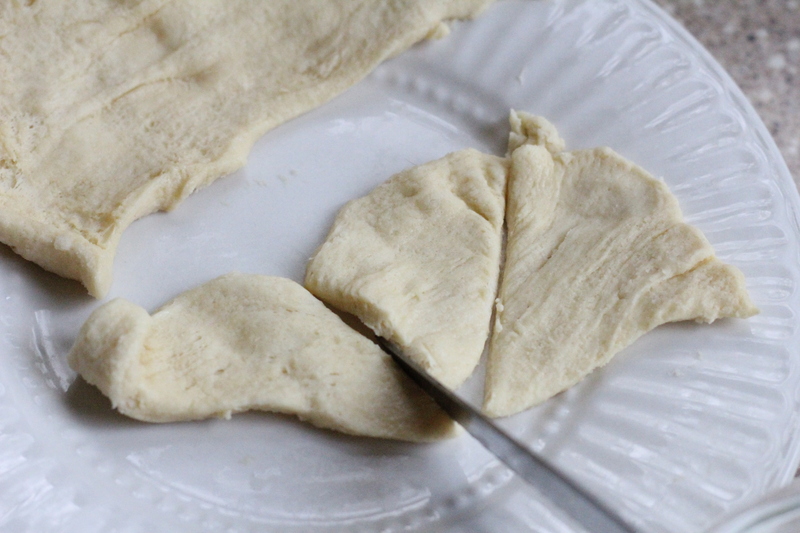 Open can of crescent rolls and cut each crescent roll into 3 smaller triangles. Pour a few TBS of the combined melted butter/brown sugar mixture into the bottom of the greased pan. 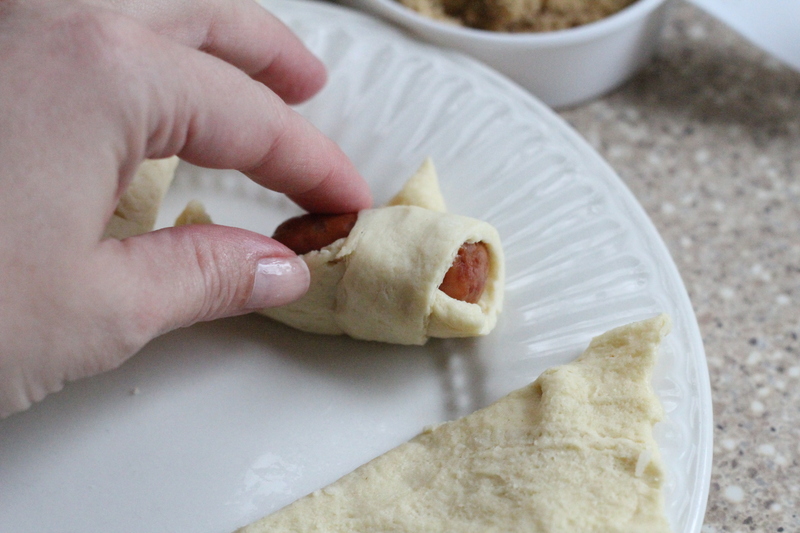 Roll up each Lit’l Smokie in each triangle starting with the large end of the triangle and finishing with the smaller end. This does not have to be pretty or perfect. Don’t worry, you can’t mess it up. 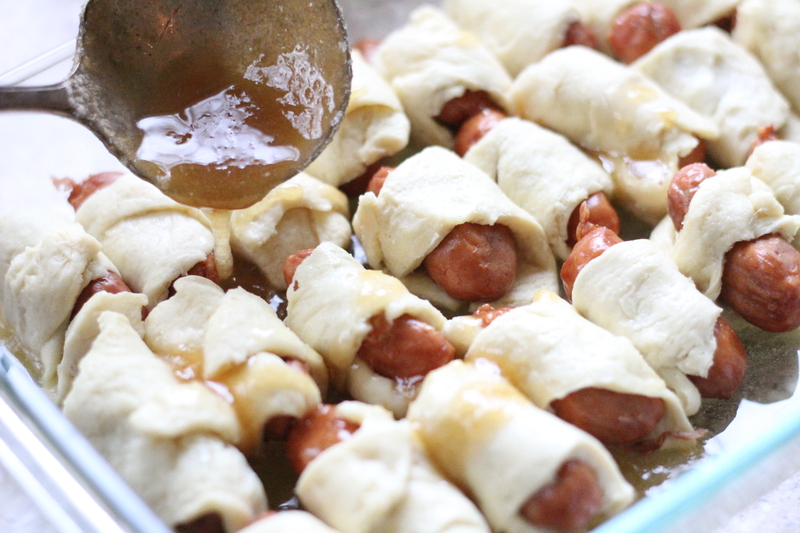 Place your rolled smokies into the pan in a line. 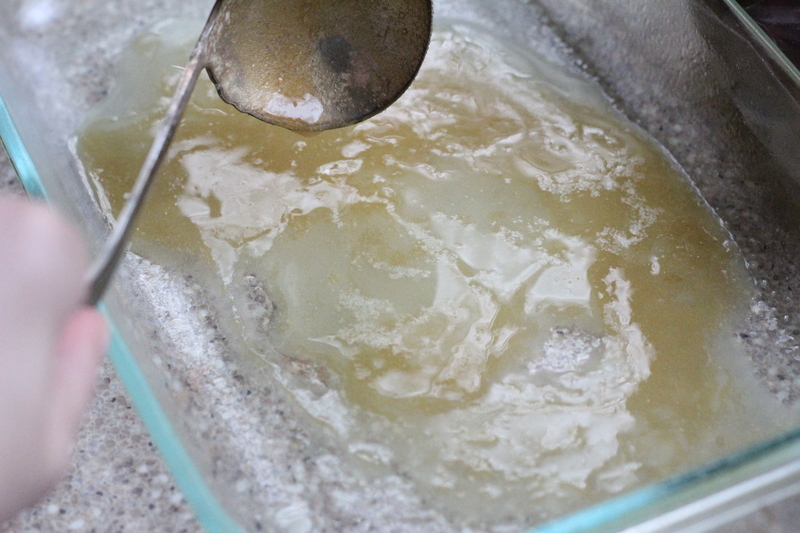 Spoon over the remaining of the melted butter/brown sugar mixture. 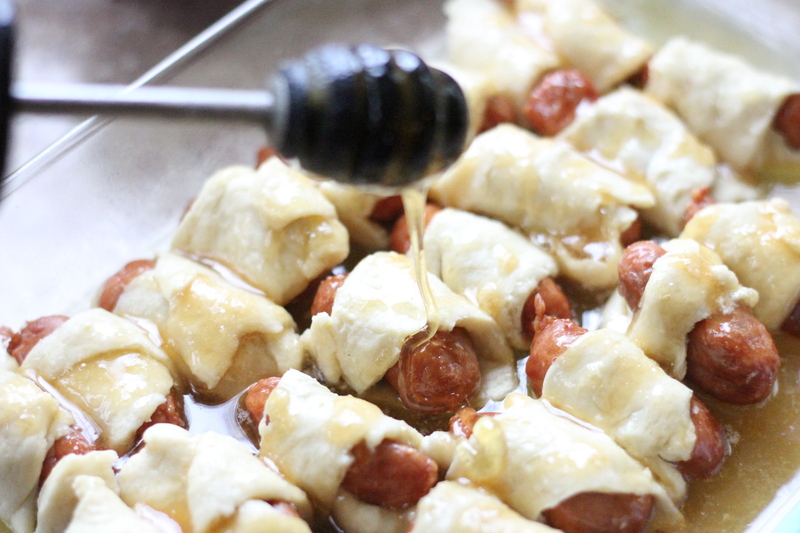 Drizzle some honey over top. 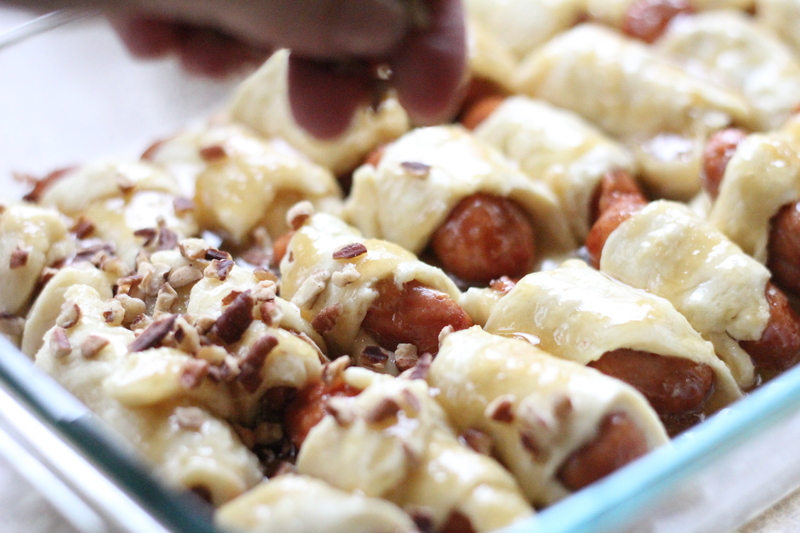 Finish off with some pecans. I can only top half of mine with nuts. 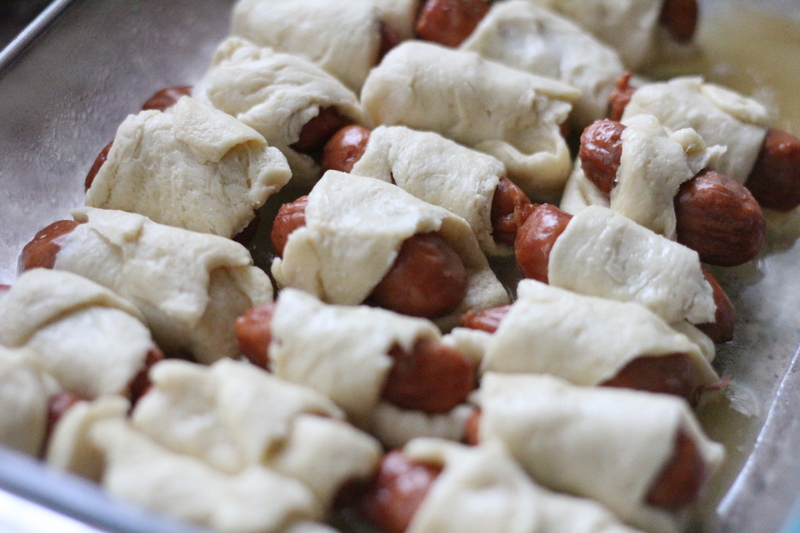 Bake at 375° F for 20-25 minutes until golden brown. 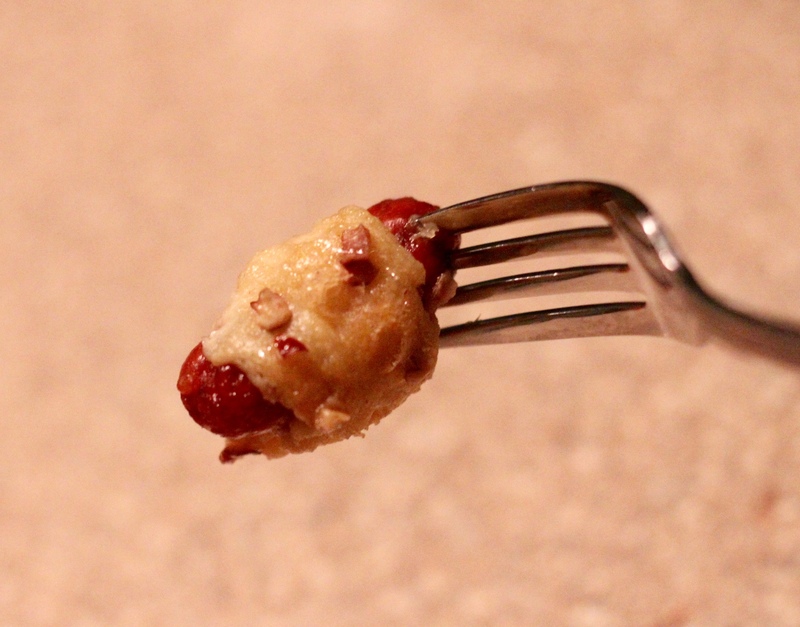 These make a great breakfast treat and can be served as an appetizer too.